In the story of "Invasion Imminent" you are an American airfighter pilot. Aliens have begun their invasion on planet Earth and it is your sole duty to protect the American citizens and planet Earth itself. It may be a never-ending fight for your life, but at least you can beat your friends high scores. 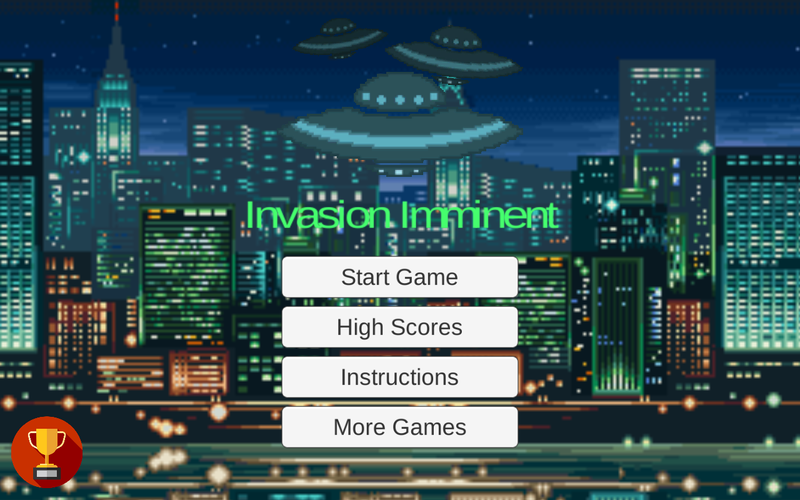 To promote Invasion Imminent and grow its popularity (top games), use the embed code provided on your homepage, blog, forums and elsewhere you desire. Or try our widget.